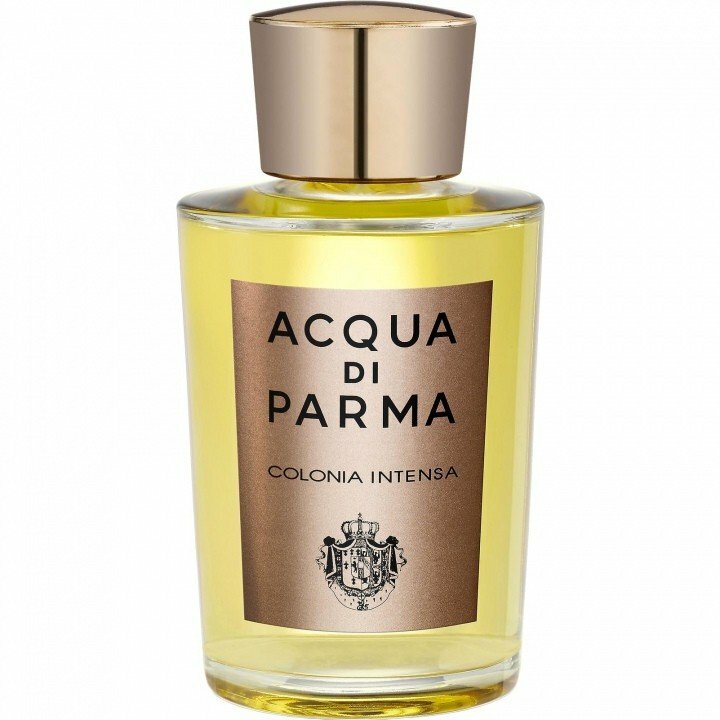 Colonia Intensa (Eau de Cologne) is a popular perfume by Acqua di Parma for men and was released in 2007. The scent is citrusy-fresh. It is being marketed by LVMH. Meh. Contrary to other flankers of this Colonia line, such as the beautiful Assoluta version and the at-least-wearable Leather one, this Intensa variation is quite disappointing for me. Actually much disappointing, even if my expectations with Acqua di Parma are never that high. It starts off as a sort of cheap dupe of a herbal-citrus fougère played on lemon-musky chords, tinged with a depressingly flat synthetic leather note and a surprisingly bold, and kind of harshly dissonant generic woody note (it takes a talent to make cedar smell this bad). It’s basically a “darker”, here meaning woodier and muskier take on the Colonia, but hasn’t really the quality and the class to succeed for me. It’s just... a shrug in a bottle, almost a scrubber. It’s uninspired, too cheap to be at least elegant and enjoyable, as it smells on the contrary almost tacky for how lousy and mediocre the notes smell. And even if they’re just a few and are all quite “classic”, for some reasons at some points their balance smells almost wrong. Too lemony at first, too harshly woody, too cheaply musky on the drydown. But well, I know “balance” is a rather subjective matter, so I guess someone may like that. Still a less than mediocre scent, whether the balance is fine or not. Anyway once the initial citrus and herbal notes start to vanish off, you realize that was the nicest part, and you basically remain with a simple, bland, immobile, surprisingly cheap soapy musky-cedar accord still tinged with a bold detergent-like debris of citrus and a remarkably irritating long persistence, as charming and pleasant as remaining stuck in a lift with that bald stinky colleague of yours. AdP Colonia Intensa is a masculine mature scent. Soon after, a warm, comforting leather note appears, which reminds me of supple italian leather goods and makes me think "mature gentleman". The dry down is pleasant, the leather and cedarwood combination is slightly mellowed by some earthy resinous quality, once the benzoin slides into the picture. All in all it is a quality woody-leather made with natural ingredients. Longevity is great and sillage is exactly what I want from a fragrance like this: an alluring scented trail. Best for spring and autumn, I would say mainly formal occasions as it has a gentlemanly presence to it, otherwise it is great for a casual weekend outing. The fresh opening, while not as good as its sister fragrances Colonia and Colonia Assoluta, is excellent, getting things off to a good start... then the mid and base notes came along and disappointment starts to set in. Cedar is indeed the dominant note in the base... nothing wrong with that as I love cedar, but something is messing with the cedar making the scent mildly cloying to my nose at times. The bottom line is it is above average but not in the same league as the original. I recommend sticking with the original Colonia, or the also superb Assoluta, both light years better than Intensa. One thing in Intensa's favor that should be noted is its superb longevity... 2.5 to 3 stars out of 5. 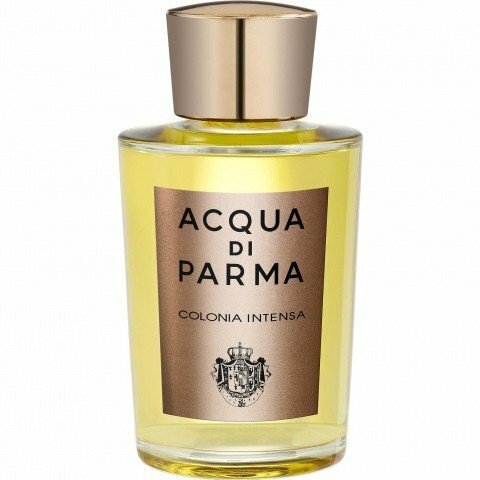 Another non-sequitur in the Acqua di Parma COLONIA line-up, COLONIA INTENSA offers a fairly standard palette of notes featured in men's colognes: cedar, ginger, and cardamom are most dominant to my nose, with cedar by far the strongest and most persistent presence. The leather is quite light here, only darkening the cedar slightly, as far as I can tell. Someone will probably hate me for saying this, but while wearing COLONIA INTENSA, I was reminded of BENETTON BLU (which I recently tested), another super-cedar-rich masculine composition. In a side-by-side comparison, I must say that they are much closer to one another than this "COLONIA" is to either ASSOLUTA or the original. INTENSA strikes me as a perfectly fine scent for gents. Nothing new at all, but relatively pleasant. A safe choice.